Did your ancestors work at Coriyule or Boronggoop? 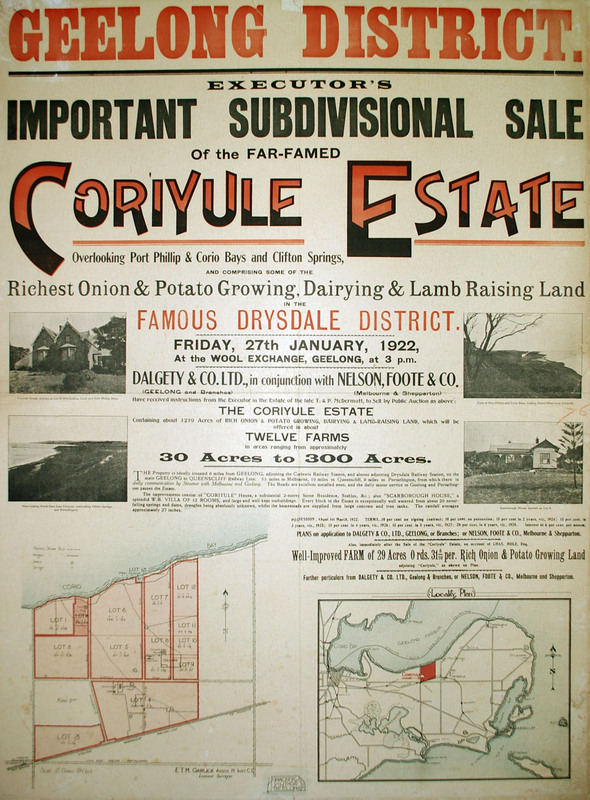 The Bellarine Historical Society is preparing a display of the ‘Lady Squatters’ – Anne Drysdale and Caroline Newcomb. If you had any ancestors who worked on their properties ‘Boronggoop’ (present day St Albans, East Geelong) or ‘Coriyule’ (Drysdale), we would be delighted to add your family’s details to our information. Author Susie ZadaPosted on Oct 9, 2016 Oct 9, 2016 Tags Anne Drysdale, Boronggoop, Caroline Newcomb, Coriyule, Lady SquattersLeave a comment on Did your ancestors work at Coriyule or Boronggoop? Enter your email address to follow this Blog Mailing List and receive notifications of new posts by email. It was formerly on Rootsweb - this is an interim solution. To check out the archives from our old RootsWeb Geelong & District Mailing List archives you can go to Browse Archives. Geelong and District Mailing List Blog at WordPress.com.